We, Catholic Bishops of Mindanao, address this Statement to every Mindanawon. We originally intended to respond to the requests of our Catholic faithful who asked for pastoral guidance on the issue of Martial Law. We pray for all the murdered innocent victims in Marawi and ask the Lord to protect all the families that have fled to safety. We condemn the terrorist acts that have caused the loss of many innocent lives, the burning of homes, public buildings, including a Protestant school dormitory and a Catholic Cathedral. We condemn the unconscionable kidnapping of teachers and church personnel. We pray for the safety of all the kidnapped, of Fr. Teresito Suganob and his companions. We appeal to the hostage takers to release all of them unharmed. The victims fear death but they also have the courage to give ultimate witness to Christ. In the strongest terms we condemn terrorism in its various forms. It is an ideology that is totally against the tenets of any religion of peace. Especially so when terrorism is perpetrated while our Muslim brothers and sisters are preparing for the holy month of Ramadhan. Terrorism distorts and falsifies the true meaning of any religion. It destroys harmonious relationships among peoples of different faiths. It creates a world of suspicion and prejudice, of hatred and hostility. The President of the Philippines has responded to the Marawi crisis by declaring Martial Law in the entire Mindanao. Many criticise the decision as reminiscent of the horrors of a past dictatorship. Others support the decision as justified. We are aware that the problems of peace and order, of the continuing disruptive activities of other rebel groups, the problems of criminality and drugs, of corruption and underdevelopment are in every nook and corner of Mindanao. 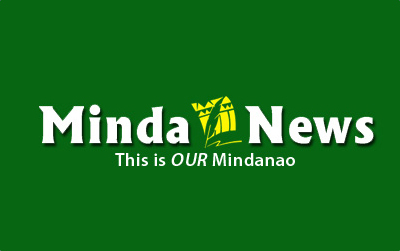 Mindanao problems go beyond the city limits of Marawi. Our Catholic faithful have asked for pastoral guidance regarding Martial Law. We are guided by the Sacred Scriptures and by the social teachings of the Church. St. Paul exhorts us to “pursue what leads to peace” (Rom. 14: 19). Martial Law is a means of last resort. Are moral principles fulfilled? Were other means to resolve the deep and wide serious problems of Mindanao impractical and ineffective? Will the positive effects of Martial Law outweigh the negative effects? Will there be probability of success? Will it bring about a culture of accountability and end a culture of impunity? Will Martial Law increase human rights violations? Will Martial Law be abused for evil purposes? The answers to many questions are speculative. We have many fears. But at present we simply do not have solid and sufficient facts to absolutely reject the declaration of Martial Law as morally reprehensible. But we are certainly agreed that Martial Law must be temporary. We shall condemn any abuse of Martial Law and as in the past will condemn it outright if it goes in the way of evil. Let us be vigilant. We exhort everyone to be calm in the face of Martial Law, to be obedient to the just commands of lawful authority, and not to provoke violent reaction. We urge the government to remove the causes of terrorism, such as poverty and injustice, through just and accountable governance focused solely on the common good. The focus of every religion is peace on earth, peace in heaven. Let us pursue together what leads to peace. Let all religious teachers and leaders quell the tendencies towards the terrorist ideology. Together let us pursue what leads to peace. Let us pray for peace and work for peace. God bless the people of Marawi. God bless all Mindanawons. +Orlando B. Cardinal Quevedo, O.M.I.